Aberavon is located in the south of Wales. It was created in 1918 and has been held by Labour since 1922. The current member of parliament is Labour’s Hywel Francis, who has served since 2001. 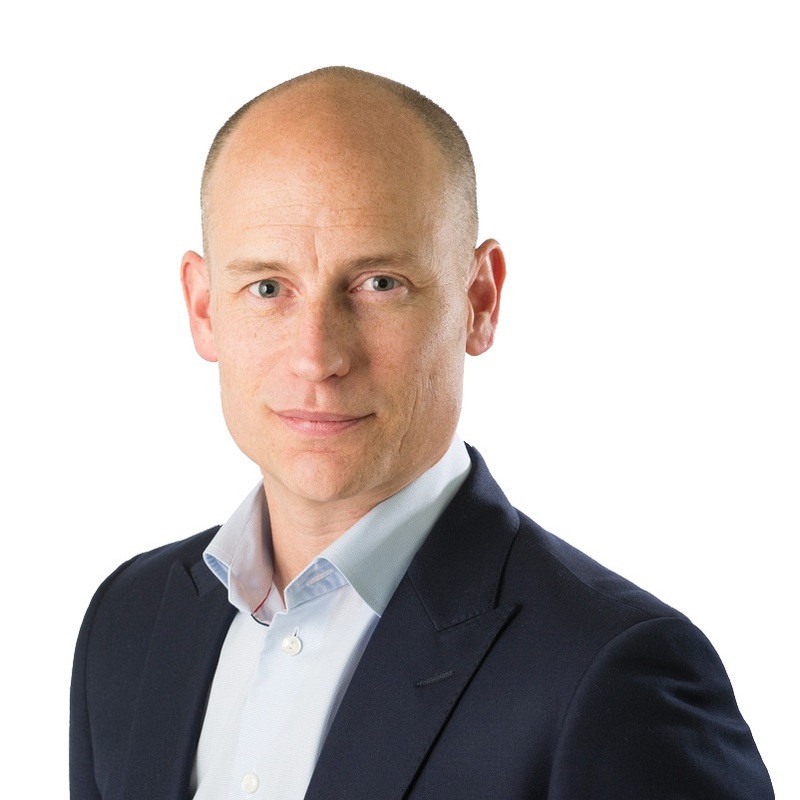 Stephen Kinnock was born in Tredegar in 1970, and has kept strong and continuing links to South Wales throughout his life. He joined the Labour Party when he was 15 and is a proud member of Community trade union and the Co-operative Party. Following comprehensive school he went to Cambridge University to study modern languages, and then he won a scholarship to the College of Europe in Bruges, where he did an MA in European Studies. As Director of the British Council in Brussels, Russia and Sierra Leone, Stephen worked to develop opportunities for education and access to British values and culture, and at the World Economic Forum in Geneva, as Director for Europe and Central Asia, he campaigned to make sure that the big companies understood their responsibilities to working people. At his present company, Xynteo, where he’s a Managing Director at the UK office, Stephen is helping major multi-national companies to improve their energy performance, efficiency and to deliver on their obligations to the community. Stephen is passionate about bringing high-productivity, high-skill jobs and investment to Aberavon, and is committed to using his background and know-how in business to help make that happen. Since 1996 Stephen has been married to Helle, the Social Democrat Party Prime Minister of Denmark, who he met in 1992 at the College of Europe. They have two teenage daughters. He really enjoys sport – he played rugby into my mid-thirties, still manages the odd game of football, and enjoys refereeing his daughter’s football matches – one of his biggest challenges in life! Voter apathy is the biggest threat to democracy and part of this is because politicians are perceived as not listening to the voters while the expenses scandal and other scandals have rightly diminished the standing of MPs to the public. For too long MPs have been able to sit back in safe seats and coast, that is why I support the right to recall; under a system that would not give the power to do so to special interest groups or to MPs. My home will be in Aberavon where I will have a fully staffed office and will hold regular surgeries across the constituency. I want to take part in community endeavours hosting forums and coffee mornings ensuring that the voices of the business-owners, parents, carers and workers of Aberavon are heard in parliament. Politics has changed drastically in the last ten years and is about all year round campaigning not just at election time and keeping constituents updated on the work that he being done by utilising new methods to communicate including Facebook and Twitter. Our electorate is aging faster than our population which scares me because it means voters are dying out and making way for greater voter abstention. Capturing the imagination of younger generations who aren’t voting is crucial and the onus to do this is on politicians. I want to start a Politics Summer School in Aberavon, where young people are given the opportunity to shadow me in my work in the constituency, and also to meet up with others who are deeply involved in local, national and UK-wide politics, for example councillors and our Assembly Member. The fact is that if young people aren’t interested in politics, then the politicians are doing something wrong. First and foremost the fact that I am standing for the Labour Party is what makes me the best candidate. The Labour Party is deeply rooted in Aberavon because it is the only party that can truly represent the hopes, needs and aspirations of ordinary working people. Labour’s plan for our country will build an economy that works for working people, whereas the other parties stand up only for narrow interests. Secondly, I believe that my personal real life experience is an important factor. I was born in Tredegar, and have kept strong links to South Wales throughout my life, but I have spent much of the last 22 years living and working overseas, and so I know how important it is for Aberavon to create and build strong international links. I also believe that my extensive experience in international business will bring a fresh perspective to the role, as a strong national voice in Parliament. I would be part of a Labour team in Aberavon, joining forces with AM David Rees and the Labour council to deliver across the board for my constituents. The values I hold dear are the values of the Labour movement in South Wales, an amazing heritage that I respect and intend to live up to and add to in Westminster. The core values that I grew up with are fairness, community and opportunity for all, that’s why I’m running and that’s the agenda I’ll be taking to the Commons. Dr Hywel Francis has been a brilliant MP for Aberavon since he was elected in 2001, and he will certainly be a hard act to follow if I am fortunate enough to be elected on 7 May. Hywel is greatly respected in the Aberavon constituency and known for the hard work he does fighting for local people and the passion he brings to the role. Put simply I do not believe that austerity is working. Certain indicators harvested from the South East of England might show that we are on the road to recovery but the rest of the UK is not feeling that way. Even the current drop in prices does nothing to mask that whilst wages have stagnated, prices for everyday necessities have gone up and people continue to face a cost of living crisis. Austerity has meant no public investment, a growth in unsustainable temporary and part-time work and the embedding of a narrative about benefit recipients that is cruel and unrepresentative. For Aberavon there is another, more specific problem which is that the prolonging of austerity has stifled the demand for steel in the UK and across the rest of the European Union (as austerity has regrettably been the order of the day right across the EU). The Port Talbot steel works have greater potential than their current use, and we need a government in Westminster that understands the need for a bold and active industrial strategy, as opposed to more free market fundamentalism. There can be no doubt that immigration has been hugely beneficial to the British economy, culture and society. However, immigration must be made to work fairly for all of us. Labour’s plans mean immigrants must work here for 2 years before they are eligible for benefits and can’t claim child benefit for children that aren’t here. We will also make work fair by stopping wages being undercut by banning agencies that only hire workers from overseas. Labour will bring in 1,000 extra border staff along with new fingerprint checks to get a grip of our borders and tackle illegal immigration. A Labour government will first and foremost secure a pay rise for workers across the country. I believe that hard work must be matched by fair pay and in order to guarantee this Labour will raise the Minimum Wage to £8 an hour by 2020 which is equivalent to a £3,000 pay rise for a full time worker on the Minimum Wage. Alongside a rise in wages Labour wants to deliver a tax system that benefits the least well off rather than the most well off by cutting taxes for 24 million people through a lower starting rate of tax. At the other end of the scale we will reverse Tory policy by bringing back the 50% top rate of tax for those earning over £150,000 a year. Large-scale public investment to create jobs and a cap on those industries which ruthlessly exploit the desperate lack of competition and the desperation of ordinary people will go a long way to correct the staggering pressure on consumers. I will work with local councillors, businesses, trade unions, the Welsh Assembly and Westminster to promote Aberavon as an attractive destination for investment, business and employment. The people who run our schools, hospitals and other public services form the backbone of our community. They are an inspiration to us all, and yet they are constantly undermined by this Tory-led coalition who are keeping wages low and cutting the services that those in low-paid work rightly rely on. I’ll work alongside the trade unions, and will campaign tirelessly to protect and support our public services and the professionals who provide them as well as the professionals who rely on them. The future of the NHS is in the combination of investment and prevention. As a prospective Welsh MP I am very proud of the work the Welsh NHS is doing under increasing pressure. The Welsh NHS is showing the way when it comes to joined-up social care and healthcare for the prevention of illnesses that overburden the system like diabetes, obesity and lung disease. The emphasis on prevention cannot be exaggerated enough. The NHS is one of the greatest endeavours ever to have ever come out of South Wales, it must be safeguarded but it must also modernise. The use of agency nurses has, for example, proven to be a false saving and I think a great number of similar practices need to be looked at to ensure that money is being used to treat patients. Of course, the NHS is a devolved issue so although you can be assured I will fight hard for it, I defer to my colleagues in the Assembly when it comes to policy detail. Unfortunately youth unemployment often lays the ground for long-term unemployment later in life so combatting youth unemployment is the first step towards the skilled and satisfied work force of the future and making sure that no-one able to work is in the position of never having been employed. Labour will make sure that a guaranteed job or training opportunity is made available for every young person aged 18-24 who is out of work for a year or more. This would be building on the success the Welsh Labour Government has had with the Jobs Growth Wales Scheme which has already helped 16,000 young people in Wales get into work. As distinct from the Tory policy of compelling young people to either volunteer or work in jobs that don’t pay. Yes and no. Of course personal identity and background are very important, but I am concerned that these should not be the be-all-and-end-all when it comes to assessing a candidate’s or MP’s ability to represent his / her constituents. For example, I consider myself to be a feminist, and I am very proud to have supported my own wife’s political work. 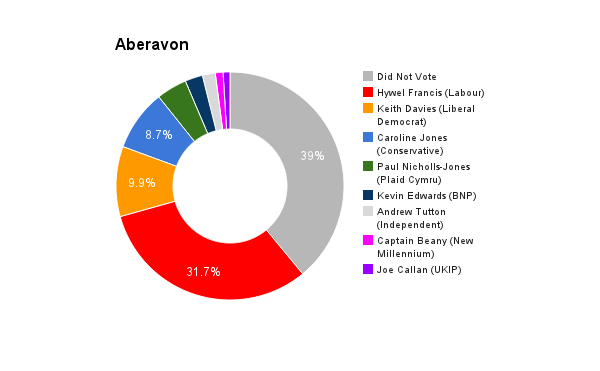 Does this make me more or less qualified than a woman would be to represent the interests of the women of Aberavon? I would also challenge the notion that an MP has to be from a certain social class or geographical area in order to be able to represent people of that class or area. Yes, where we come from matters, but in my view where we’re going is far more important. Candidates and MPs should be assessed on the basis of their core values and what they say and do for their constituents and for the furthering of equality in the UK, not on the basis of their parents’ profession, or where they were born. One aspect of this debate that tends to get drowned out is the need to ensure that we have as many MPs as possible in Westminster who have experience outside local or national politics before they enter Parliament. The Parliamentary Labour Party would certainly benefit from having more diversity in terms of the professional background of its MPs, and I hope that my international business background will help to bring some new ideas and perspectives. In summary, my view is that the lack of diversity in Parliament is an important issue and the Labour Party has a proud record of doing far more than any other political party to redress the balance. However, it is also important to ensure that we avoid an ‘identity arms race’, whereby we end up concluding that gender, social class, place of birth etc are the only factors that determine the ability of an MP to effectively represent the interests of his or her constituents. I would encourage my constituents to vote to stay in the EU. One of the arguments that doesn’t get discussed enough is the fact that as a country we are facing a series of international issues that could never be solved without EU cooperation. Climate change, cross border crime, people trafficking, the drug trade; these are issues that affect my potential constituents on a daily basis and which can only be solved if the UK is sat firmly at the European decision-making table. I believe that the UK’s global voice, and Wales’ global voice, are magnified by our membership and that to leave would diminish that voice and reduce our clout in the global market place, not to mention damage the profitability of the steel industry that is so important to Aberavon. Too often the EU is seen as a remote organisation that has no relevance to local issues but EU funding is incredibly important to the local economy. Funding goes to Communities First areas, Objective One and comes via the European Development Fund, providing services and helping businesses that are crucial to Aberavon. EU funding helped build Baglan Energy Park and the Margam Park Heritage Training Centre, and has played a key role in the renovation of the Port Talbot Parkway train station. It is estimated that EU funding has helped create some 30,400 jobs across Wales since 2007, and helped 189,400 gain qualifications. These are just some of the way that our membership of the EU directly contributes to the successes of Aberavon, Wales and the UK as a whole.